Notifications are an important part of a Home Automation platform. Users typically want to get alerted when things happen and there are various degrees of importance for notifications. Right now in Home Assistant 0.76.2 there are 60 different notification platforms! 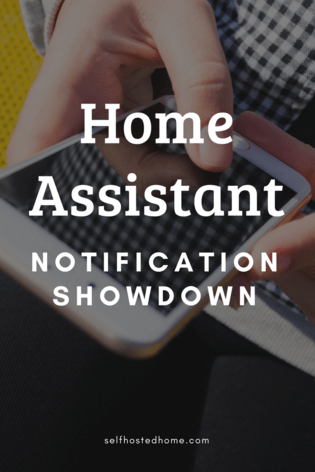 In this post I’m going to review several different notification platforms supported in Home Assistant. You probably don’t want an email when your garage door doesn’t close but an email might make sense for a weekly electricity usage report, I’ll go over some use cases for each type of notification. We’re an Android household so this review is coming from that perspective, if you’re using iOS there is a Home Assistant iOS App that supports notifications that I’ve heard good things about. You may also find some of the other notification platforms discussed in this post to be useful to supplement.